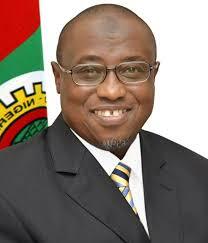 The Group Managing Director of NNPC, Dr Maikanti Baru, said this during NNPC Special Day at the ongoing Lagos International Trade Fair. To this end, we are set to increase our 14 per cent market share in the nation’s downstream petroleum retail market to ensure supply reliability and energy security. “To aid in achieving this target, we have expanded our retail outlets, notable examples are, indeed, located here in the South-West. For example, we have the newly constructed ultra-modern mega station along the Lagos-Ibadan Expressway”. Earlier, Mr Babatunde Ruwase, President of LCCI, said that the role of NNPC could not be over emphasised in ensuring petroleum products supply. He urged the Federal Government to expedite the passage of the Petroleum Industry Governance Bill (PIGB) and also create an enabling environment for businesses to thrive.